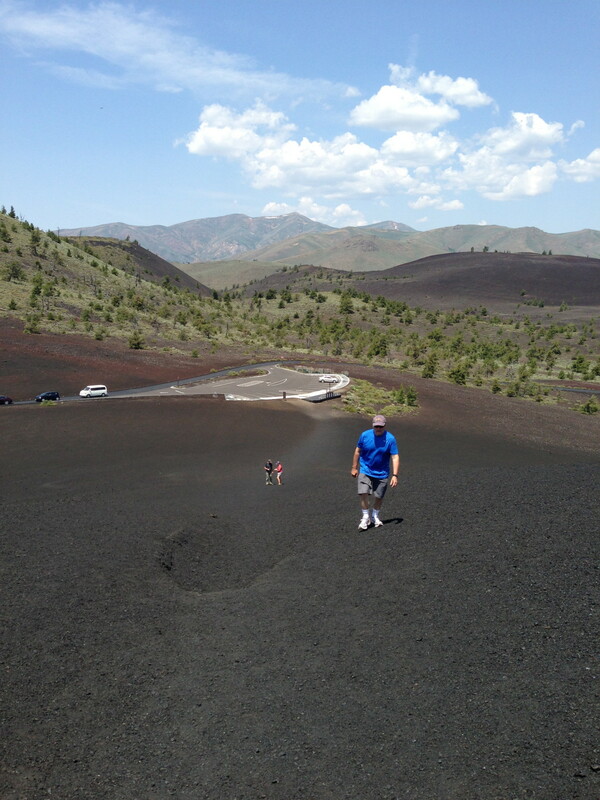 While we were in Sun Valley visiting relatives, our nephew Tyler left to visit a friend near Jackson Hole, taking Hwy 20 heading east. 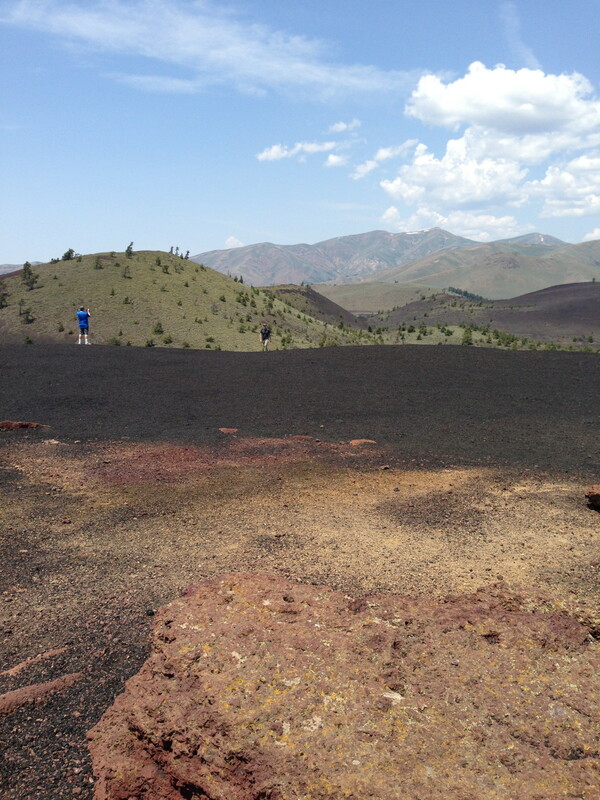 Shortly after, he called to highly recommend that we take a road trip to see Craters of the Moon National Monument, only about 70 miles from Sun Valley. 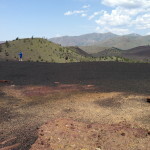 We didn’t have anything else planned for that day, and it turned out to be a beautiful drive through Idaho’s high desert foothills. 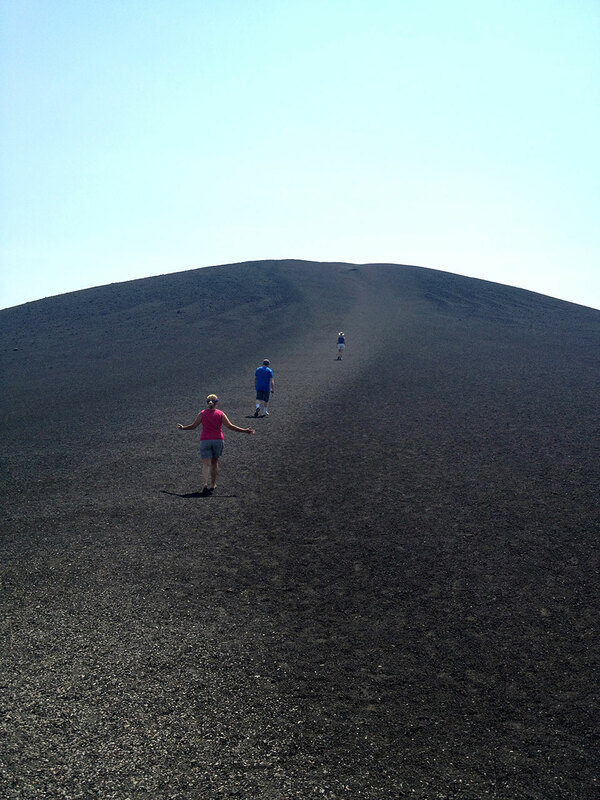 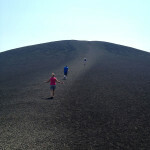 After stopping at the visitor’s center, we climbed to the top of Inferno Crater (6181 feet elevation). 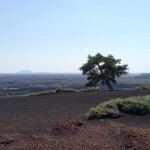 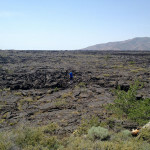 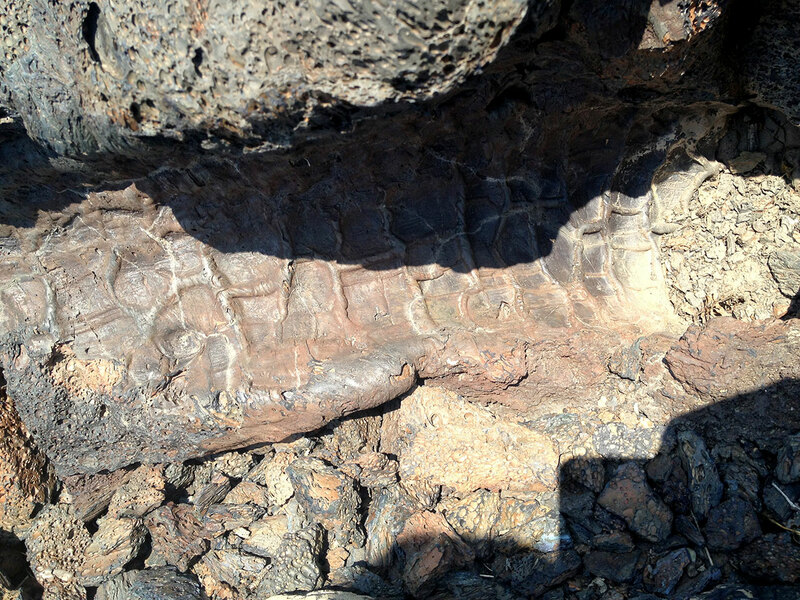 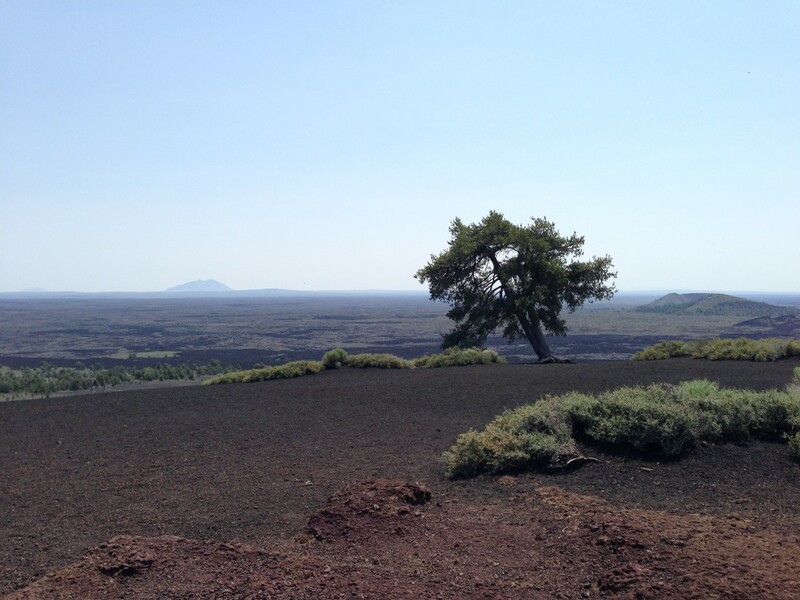 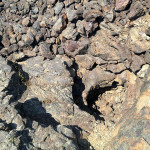 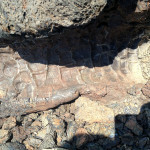 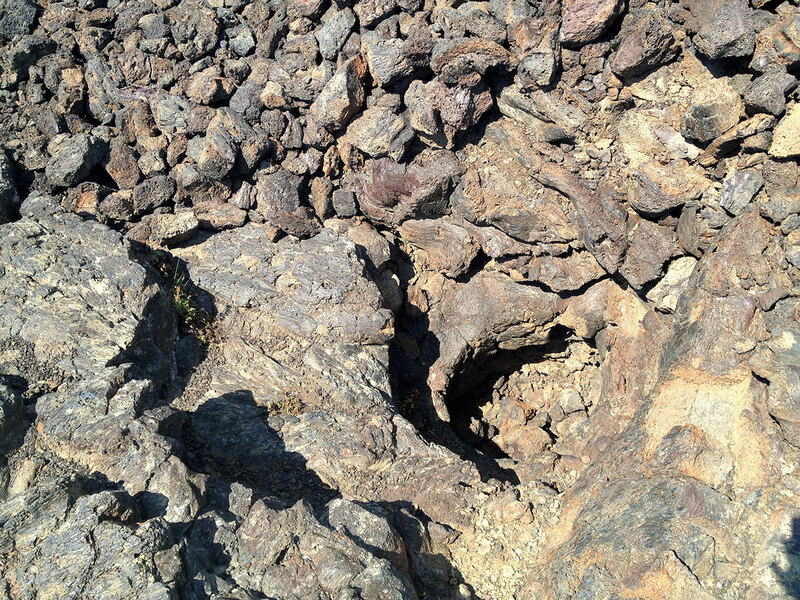 David and brother-in-law Jim decided to check out the Tree Molds Trail in the lava, a two mile out-and-back trek. 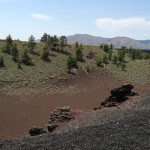 They returned red-faced and in need of water. 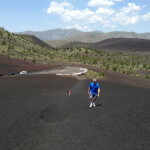 While many western states have similar stretches of lava flows, cinder cones and volcanoes, this is a particularly interesting park with a colorful name and well worth the drive if you are in Idaho. 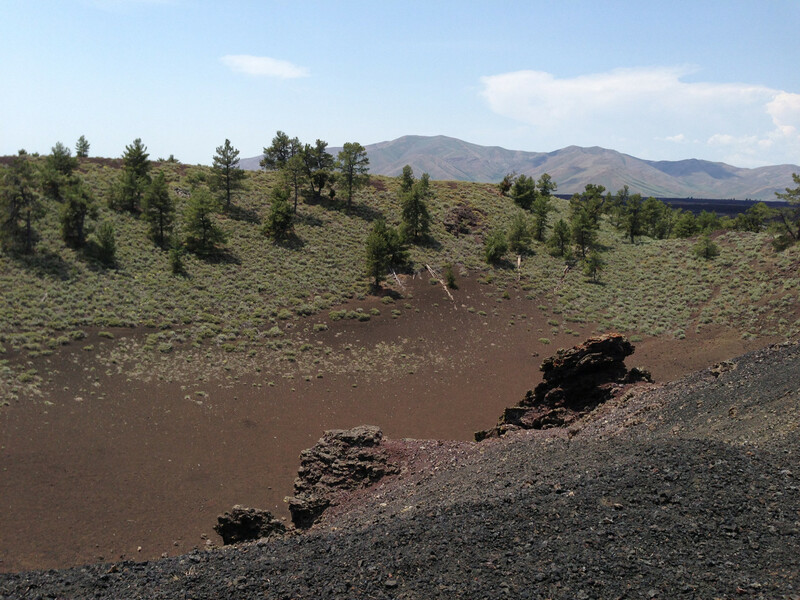 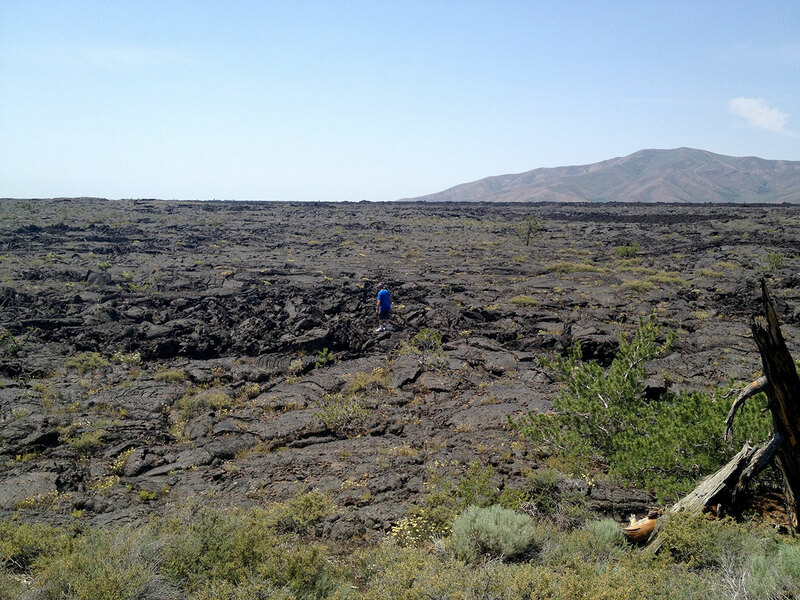 You can also read our post about Oregon’s Lava Lands National Park.